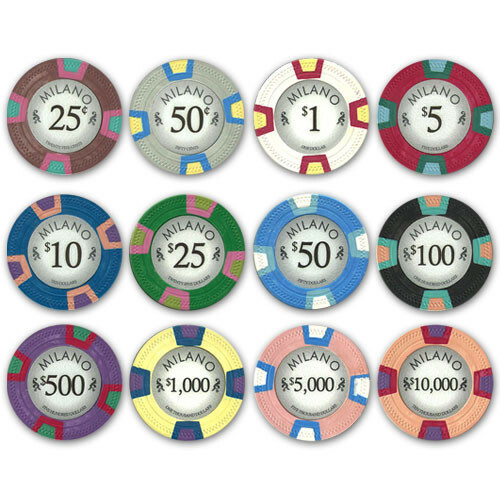 Break out the chips at your next poker night with this casino-grade poker chip set. 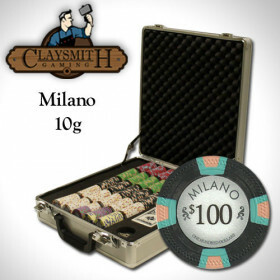 These Milano 10 gram poker chips look, feel, and sound like real casino poker chips and the set includes 2 free decks of playing cards, 5 dice and a free dealer button to get the action started. 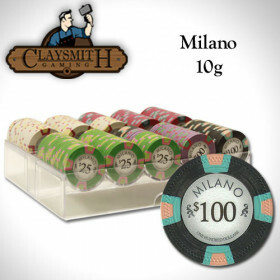 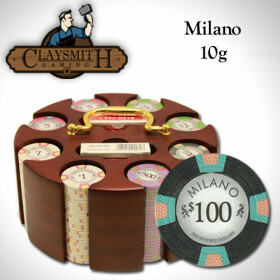 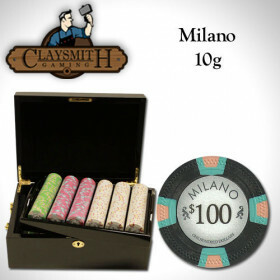 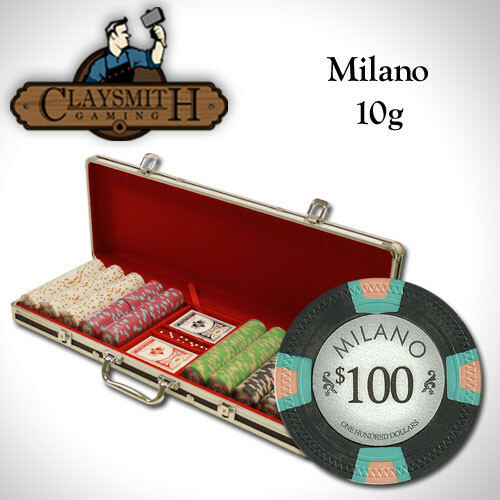 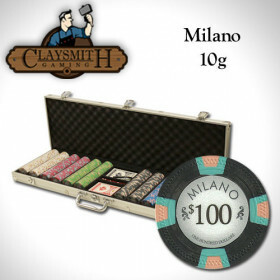 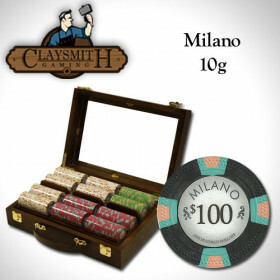 500 Claysmith Milano clay composite poker chips, plus you get 2 free decks of cards, 5 dice and a dealer button. 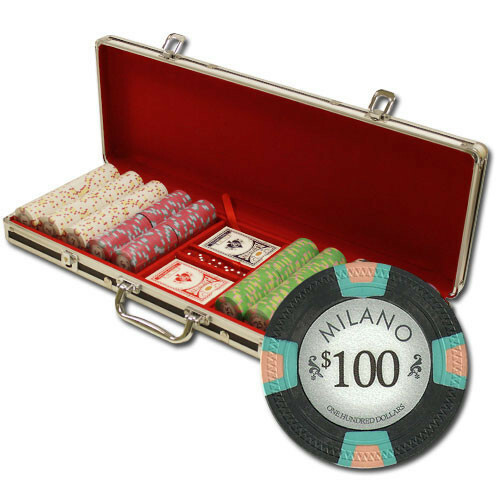 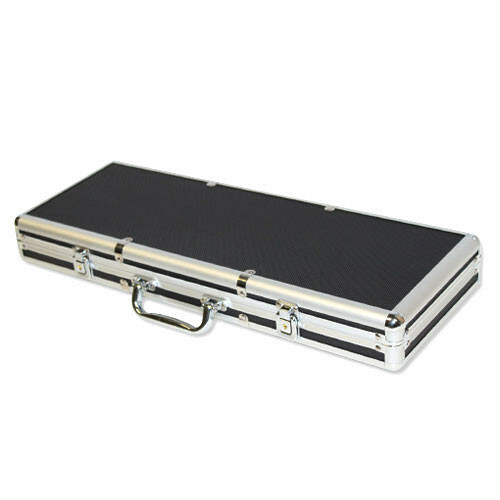 Store your precious poker chips in this stylish and sturdy black aluminum case. 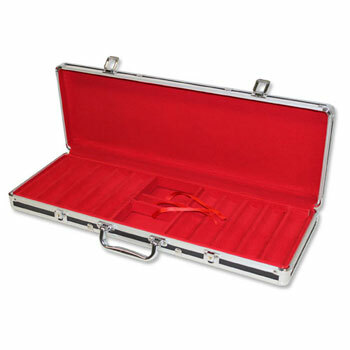 The case has a black exterior finish and is lined with red velvet. 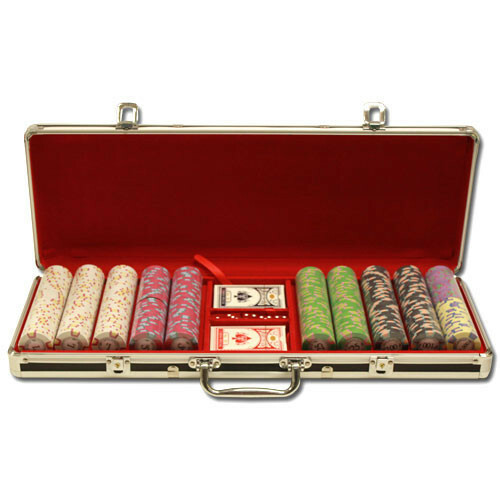 This case holds up to 500 poker chips and also features real wood dividers, not the cheap plastic dividers you will find in other cases.